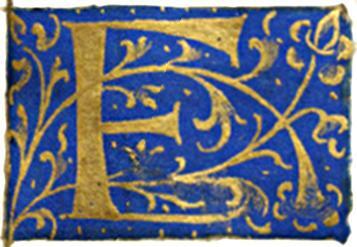 The letter F painted in blue and gold used as a decorative initial. 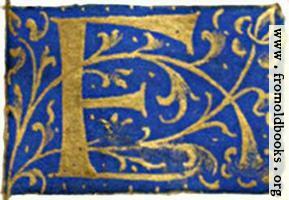 This image was on image 17 of the Library of Congress page images. 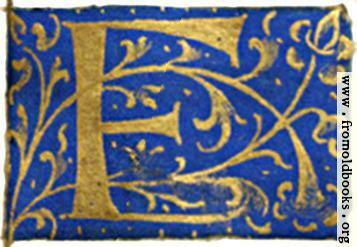 You could use it for an E or an F, as long as the context is not ambiguous.